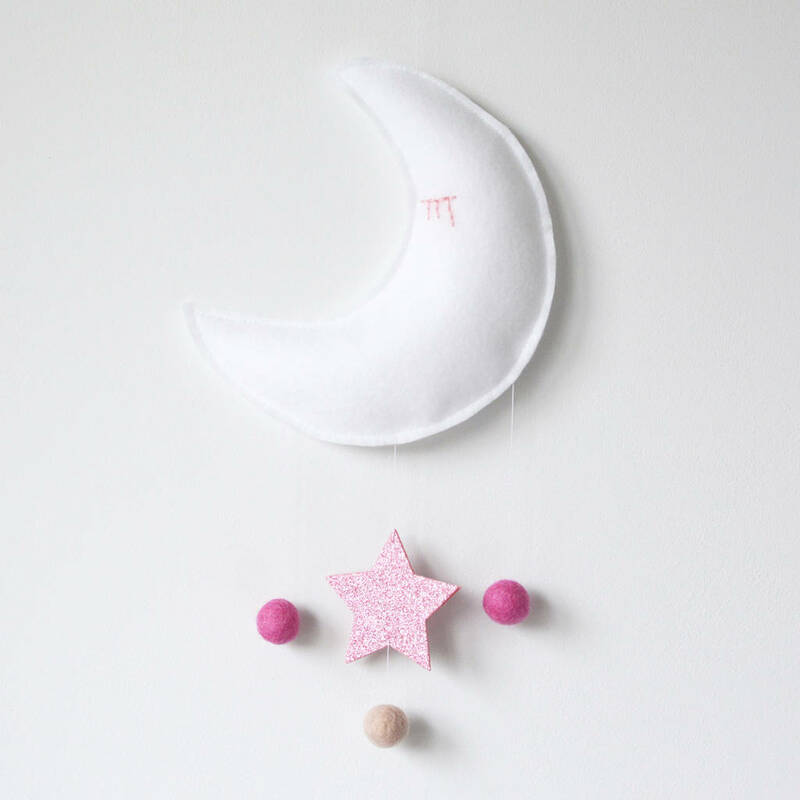 This sweet moon mobile will capture your little one's attention! 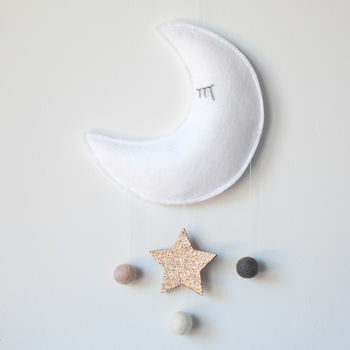 Sweet white moon and star mobile; with a pale grey hand-stitched eye, soft gold glitter star and blush and grey felt ball decoration. 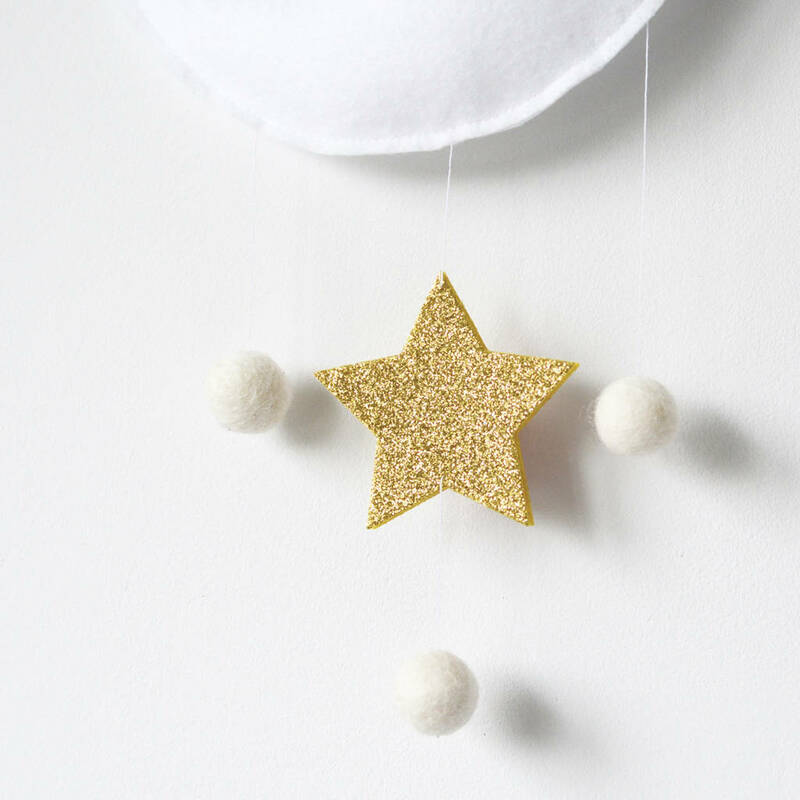 The glitter star catches the light as the mobile turns. 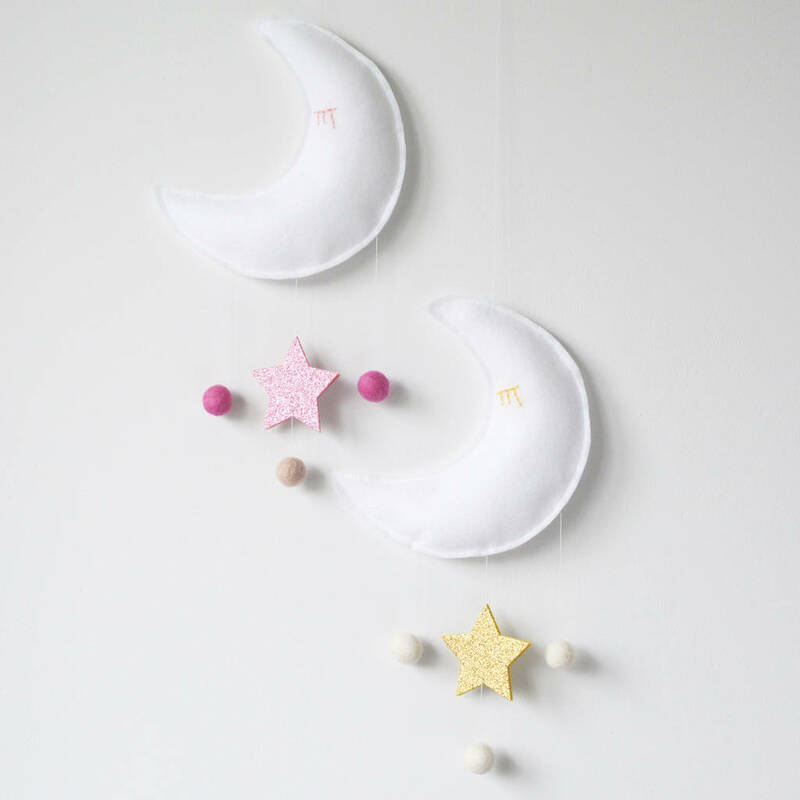 Display from a shelf, hook on the wall or from the ceiling with the hook provided. 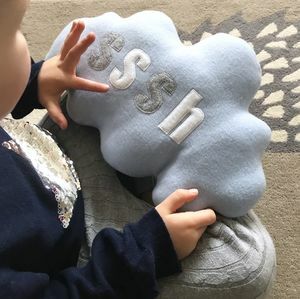 Handmade in the U.K, exclusively by littlenestbox. 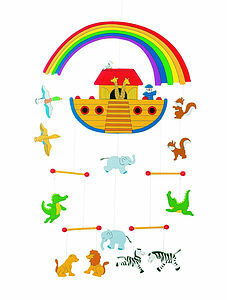 Littlenestbox mobiles are for decoration only and are not toys. For safety, mobiles should be installed out of reach of babies and young children. 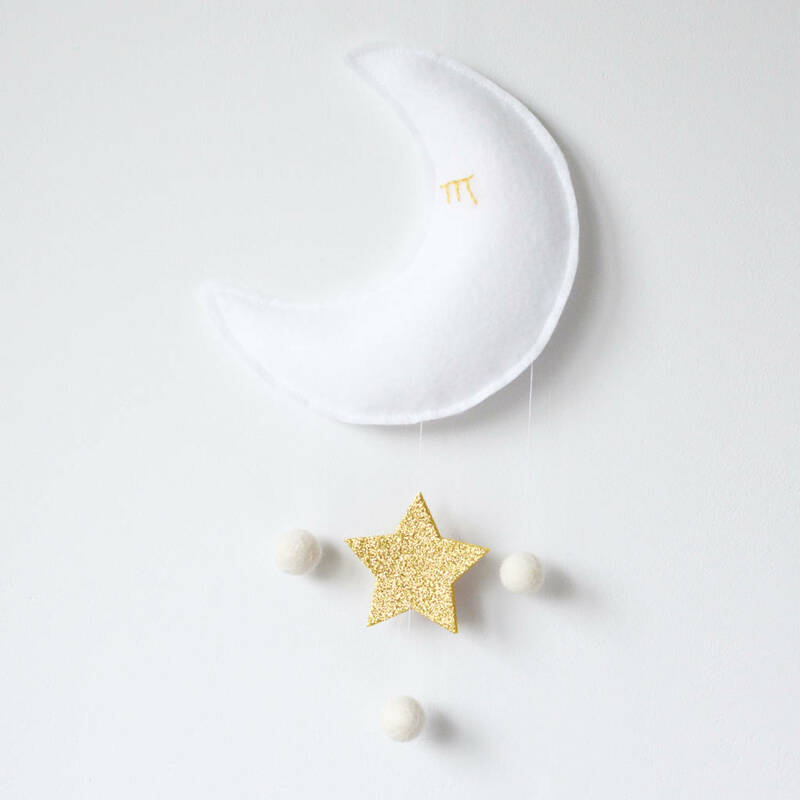 We do not recommend displaying a mobile directly above a cot. 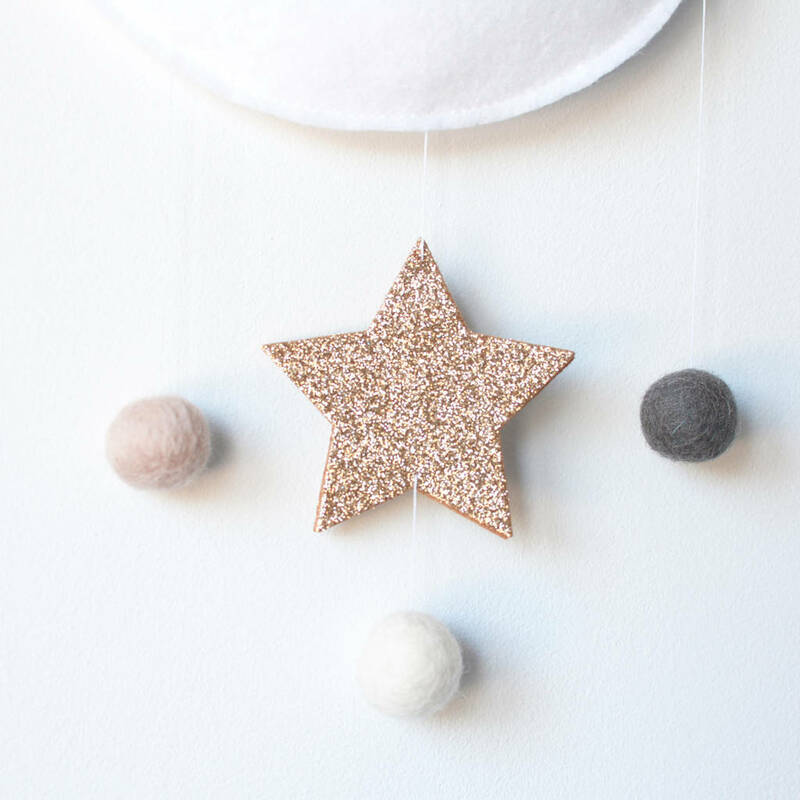 Wool blend felt, glitter felt and wool balls. Shipped fully assembled with ceiling hook, ready to display. 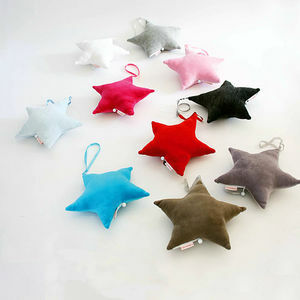 The mobile measures approximately 20 x 20 cm (including the star and felt balls). There is a total drop of approximately 100 cm from the ceiling to the bottom of the mobile. 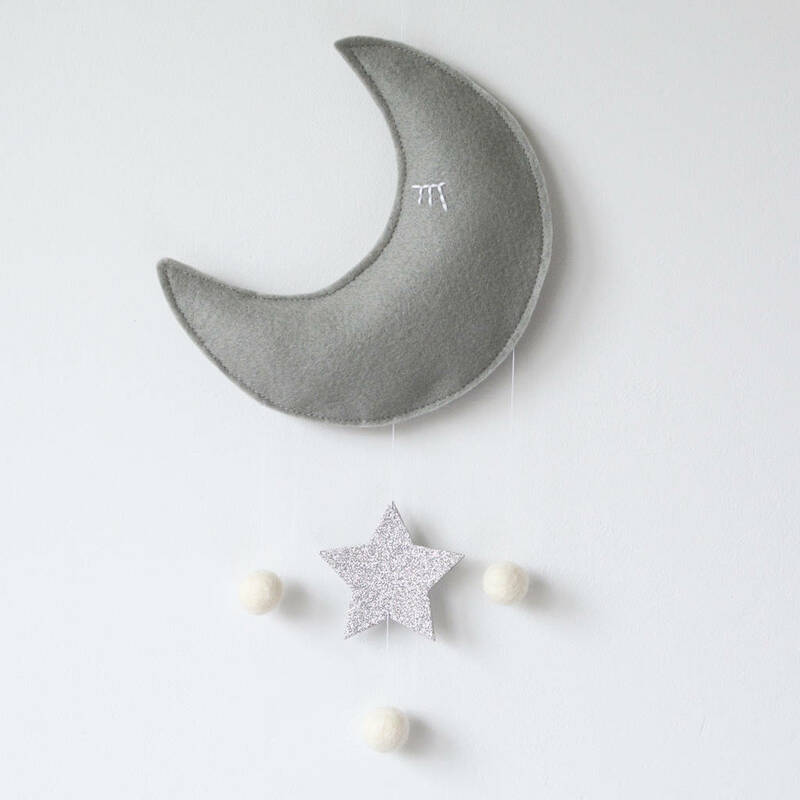 This product is dispatched to you by littlenestbox.